Defining situations can be challenging. The infographic below provides brief definitions for different forms of sexual violence. The list of terms we complied is based on the Clothesline Display. Understanding how the reporting process of a sexual assault at UCLA works is difficult. 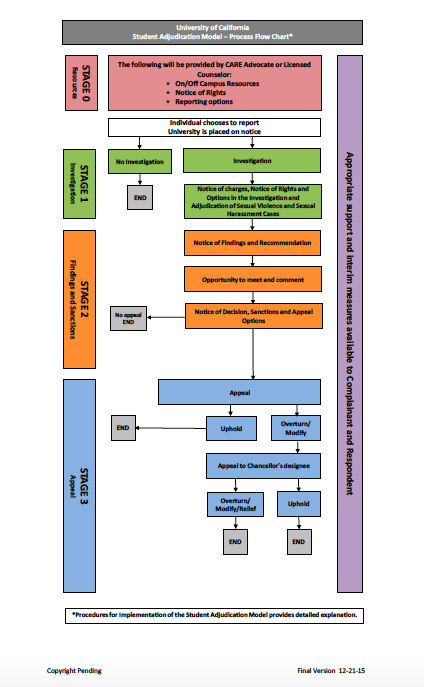 Below is the roadmap of the process published by the University of California. If you have further questions about it the staff at Student Legal Services can assist you. Confused about where resources for survivors are on campus? Use the map below to help guide you.